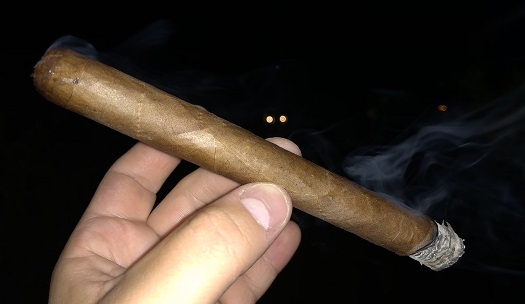 It’s not too often I get to smoke a cigar that had been in my possession for seven years. But this since-discontinued, lonsdale-sized Bolivar Gold Medal had been resting in one of my humidors since (at least) 2011. It was high-time I fired it up. The result was a bready, medium-bodied profile with notes of graham cracker, cereals, and honey. The draw was smooth, the smoke production average, and the burn wasn’t perfect—but it also didn’t require any touch-ups. I hesitate to compare this to my last experience with a Gold Medal, which was in 2011, since I don’t remember that, and since my tastes have certainly changed. That said, I really enjoyed this aged Cuban and would recommend trying one if you have the chance.